Gregory Yen, RPH, Esq. is Of Counsel with Pasricha & Patel, LLC. His practice includes all areas of pharmacy law at the federal and state level. 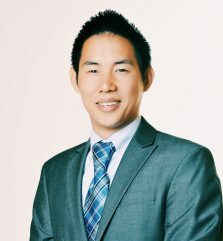 Dr. Yen’s expertise includes defending retail pharmacies from improper audits, providing legal advice to pharmaceutical companies, and drafting opinion letters for pharmacy clients. He has developed a comprehensive knowledge of state laws related to pharmacy practices, insurance billing practices, and PBM regulation, regularly representing pharmacies in connection with audits and related pharmacy network issues. He also volunteers his time by assisting clients with issues related to consumer law and family law. Dr. Yen’s background includes receiving a Doctor of Pharmacy from Rutgers University, and Juris Doctor from Temple University. He is both a registered pharmacist and an attorney admitted to the bar. “Seattle Medical Residents Working to Create First Independent Collective Bargaining Unit.” Web log post. Minority Trial Lawyer News & Developments. ABA Section of Litigation, 28 May 2014. “NIH Partnership Targets Critical Areas Affecting Minority Groups.” Web log post. Minority Trial Lawyer News & Developments. ABA Section of Litigation, 13 Feb. 2014. “Did the Trademark Office Deny a Band a Trademark Based on Their Race?” Web log post. Minority Trial Lawyer News & Developments. ABA Section of Litigation, 4 Nov. 2013. Connect with Gregory Yen, RPh, Esq on Twitter and LinkedIn.